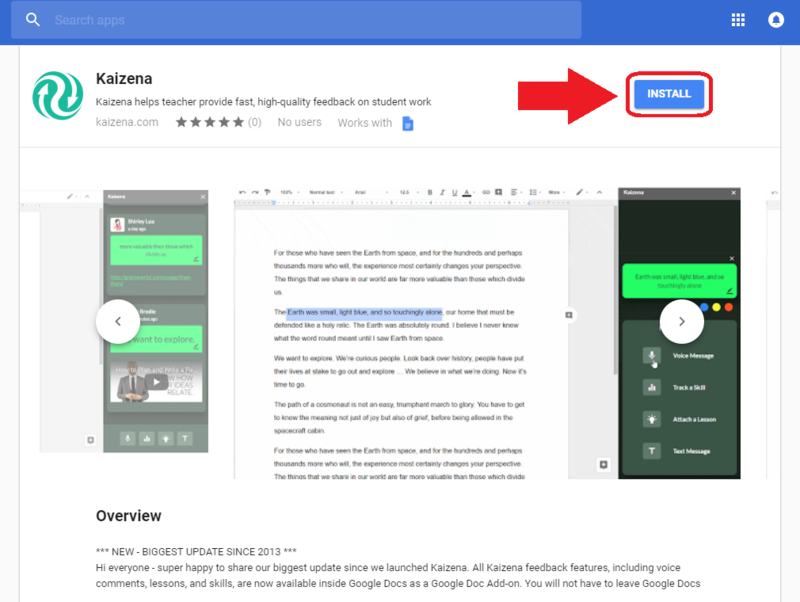 In order to access your feedback, your students will need to have the Kaizena add-on installed in their Google Docs. 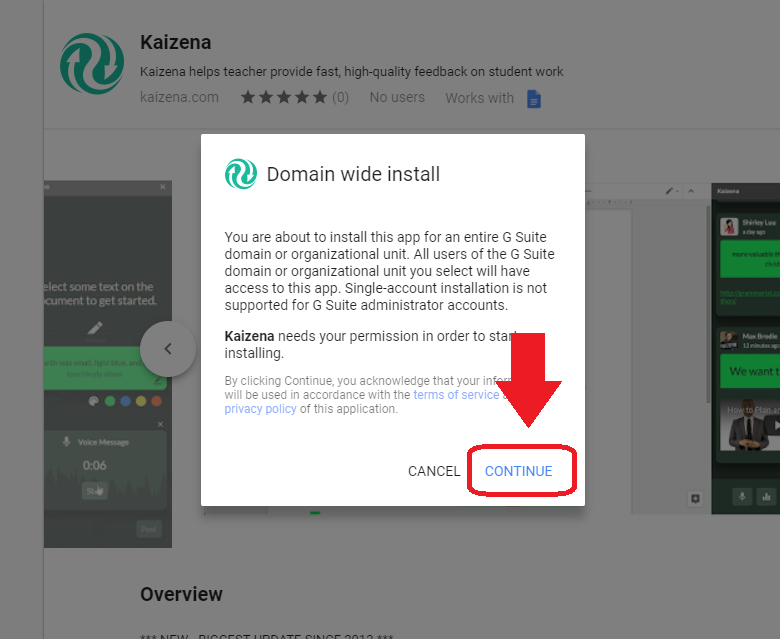 Your school's G Suite Administrator can easily install Kaizena for all students and/or teachers: if you're a teacher, you can share this article with them. 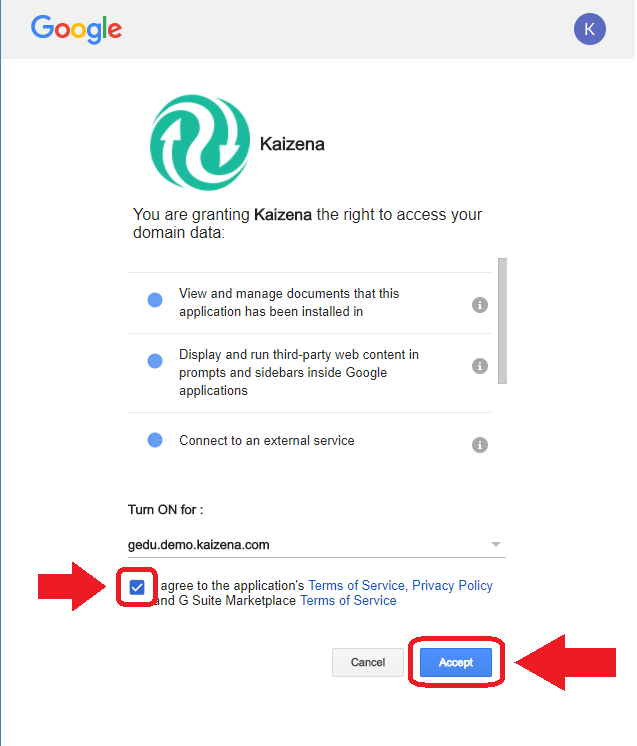 Click to open Kaizena in the G Suite Marketplace. 4. 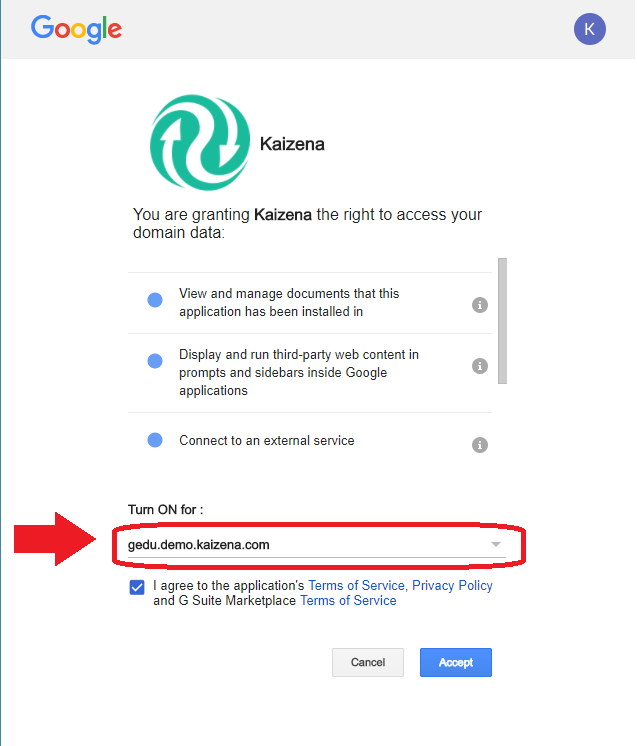 Choose the domain or group you want to install Kaizena for. 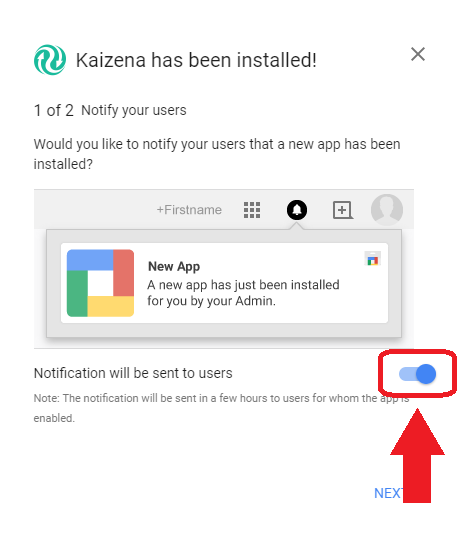 If you have separate groups for teachers and students, for example, you could choose to install Kaizena only for students. ...then click "Next" to send the notifications. If you don't want to notify students and teachers, click the toggle to the "off" position, then click "Next." You're all done! Kaizena has been installed for everyone in the group you selected.